"Welcome to Tatarstan! We are glad to see you in Tatarstan Investment Development Agency! We congratulate you on your new appointment and wish you success in work and implementation of all your plans. 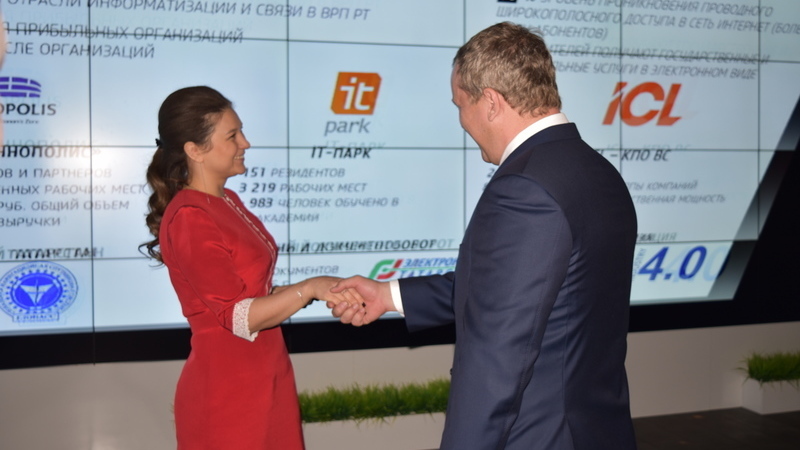 We are sure, active cooperation and exchange of experience will contribute to the prosperity of our regions", - the Head of Tatarstan Investment Development Agency Taliya Minullina welcomed the Acting Governor. Sergey Morozov, in his turn, noted the similarity of cultures and expressed his intention for future cooperation. Taliya Minullina represented the economic activity of Tatarstan and its investment advantages to the guest. "Fixed investments are growing. This year we will show a slight increase. We work with investors on "one window" principle, each project has its own manager. The largest number of foreign investments comes from the Republic of Turkey, Germany, France and the United States. Tatarstan today is the region with the largest number of Federal investment sites: special economic zones and territories of advanced socio-economic development", – the Head of Tatarstan Investment Development Agency noted. After immersion in Tatarstan’s environment Sergey Morozov and the President of the Republic of Tatarstan Rustam Minnikhanov signed an agreement on trade, economic, scientific, technical, social and cultural cooperation between Tatarstan and Astrakhan region in Kazan Kremlin. The trade turnover of the regions is about half a billion rubles. Tatarstan delivers cars and trucks, food, synthetic rubbers, sheet glass to Astrakhan. Astrakhan region supplies food to Tatarstan. The interest in the development of cooperation in the field of mechanical engineering and shipbuilding was noted, there are good prospects for partnership in petrochemical industry, contacts have been established for cooperation in the field of construction. During his stay in Kazan, Sergey Morozov will also get acquainted with the work and development of the High-tech technopark "IT-park", visit a number of sports infrastructure facilities, as well as historical and architectural sights of Kazan.